We'd like to meet with you to explain how our products can solve your unique structural issue. To prepare a free foundation repair quote, we inspect your damaged areas, identify the causes, and create a written proposal that outlines all work to be done. If you live in Montana and Wyoming and would like to schedule your free inspection and quote, call or e-mail us today! At Yellowstone Structural Systems, we have exclusive access to Supportworks' industry leading structural repair products in our Montana and Wyoming service area. We're proud to serve Bozeman, Big Sky, Billings, nearby localities such as Belgrade, Great Falls, Helena, Butte, Missoula, Laurel, Livingston, and the surrounding areas. 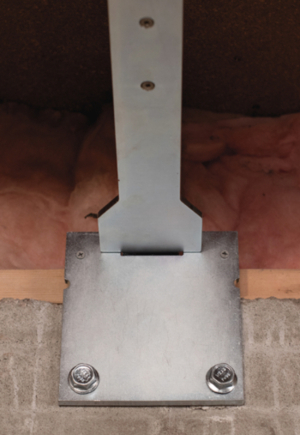 If your foundation damage is severe – or worse, has begun to cave in – we have a solution for stabilizing and rebuilding it without costly removal and replacement. 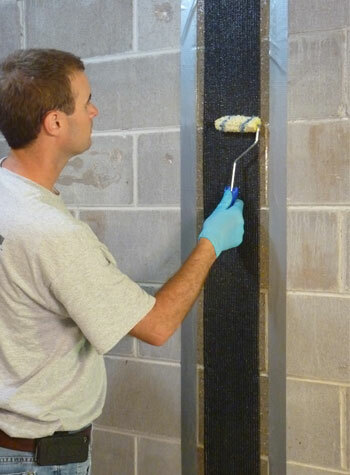 The system combines Geo-Lock ™ wall anchors with shotcrete to repair your foundation in just a few days. More importantly, it locks the walls in place to prevent deterioration from recurring. Shotcrete is a process in which concrete is shot from a spray nozzle against walls under high pressure. Often used by in-ground pool installers, the finished shotcrete wall is stronger than a regular concrete. All anchor hardware is covered, and the walls are troweled smooth.